Besides being written in the history and tradition of our ancestors and the skilful goldsmith’s hands, it is also a symbol spreading positive energy as it brings optimism and it is precisely his closeness that guarantees our wishes coming true, our serenity, protection from our enemies and from all evil forces. The Morčić earring was once worn by men too, especially fishermen and their only sons. It is not odd to see it in a man’s ear today nor is it abnormal to find brooches, bracelets, rings and pins in the treasure boxes of every older Rijeka family. Due to its attractiveness and historical importance, the Morčić has achieved enviable world fame acquiring a tourist flyer that describes the importance of this famous symbol in 30 languages. Numerous stories have been told about the Morčić’s origins, numerous popular songs and legends have been sung amongst which there are two of the most famous ones. The first one is the legend of Zrinski described by the famous Rijeka archaeologist and art historian, Radmila Matejčić. It dates back to 16th century when the Ottomans set up camp in the Grobnik Field, threatening to attack Rijeka. The nobleman, Zrinski, shot an arrow from Gradina (Castle) close to Jelenje that hit the Ottoman pasha in his temple causing the army to run away. During this period of Ottoman occupation, the people of Rijeka, so Matejčić says, looked to the sky and prayed to God to throw stones and kill all the Ottomans. This is exactly what happened when they tried to run away: stones covered the Ottomans up to their necks and in a field only their turbans remained. In memory of this event, Rijeka’s men put earrings of a man with turban in their wives’ ears. 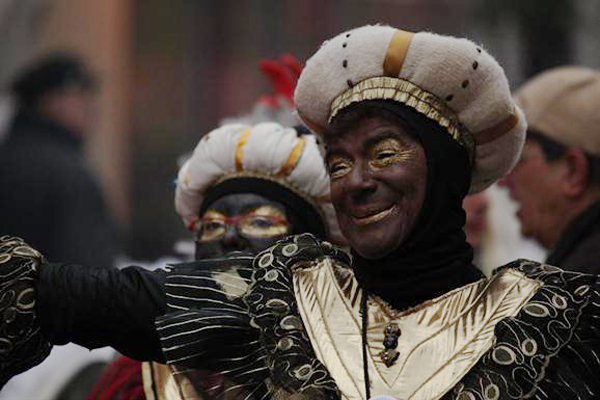 The second legend originates from Pelješac and says that an Italian countess had a black slave who she really liked. She gave her freedom and to remind her of the girl she ordered the creation of earrings depicting her. Morčić’s creation was largely influenced by Venice which, in 17th and 18th centuries, was obsessed with the Orient. Besides eastern spices, perfumes, fabrics, clothes and jewellery, the rich Venetian patricians started to use pages and servants in their chambers – Afro Americans wearing eastern clothes. This inspired numerous Venetian goldsmiths to begin creating decorative pins in the form of a black man with a turban, a golden bust, richly decorated with precious stones, known as a “moretto”. Game, set, match for the Bol tourism!